You know what I'm in the mood for, Houston? Some schfancy Chinese food. Last week I met up with my friends Kate and Danielle for dinner at the newly opened restaurant Ginger & Fork, located off of Shepherd, just south of I-10 (Houston's Rice Military area? Heights? Heights adjacent? You pick). 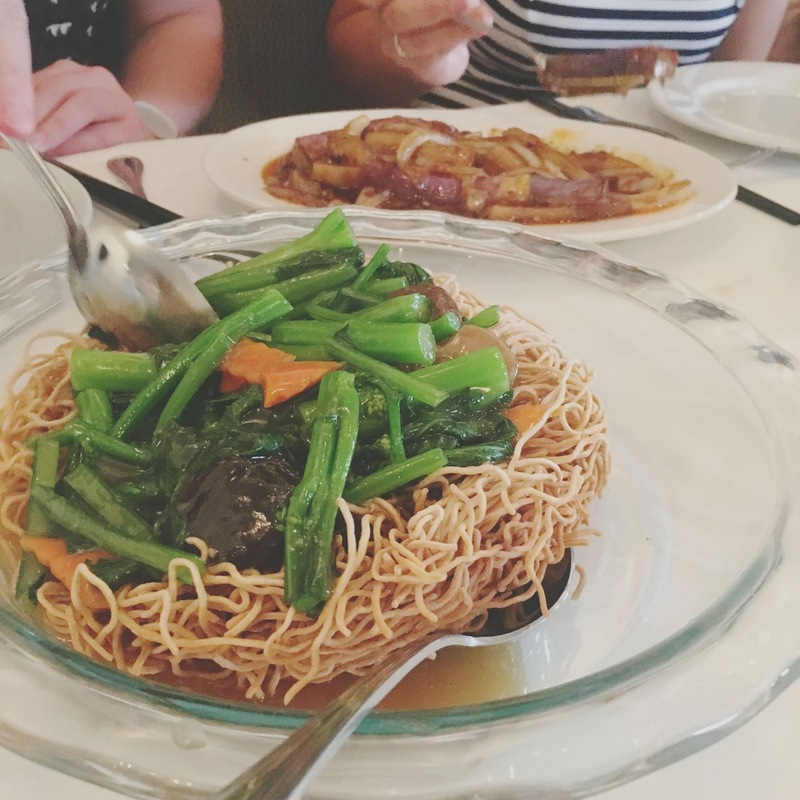 Houston has a lot of delicious Chinese takeout spots that I frequent (particularly this one), but I've yet to really encounter an upscale Chinese food restaurant. 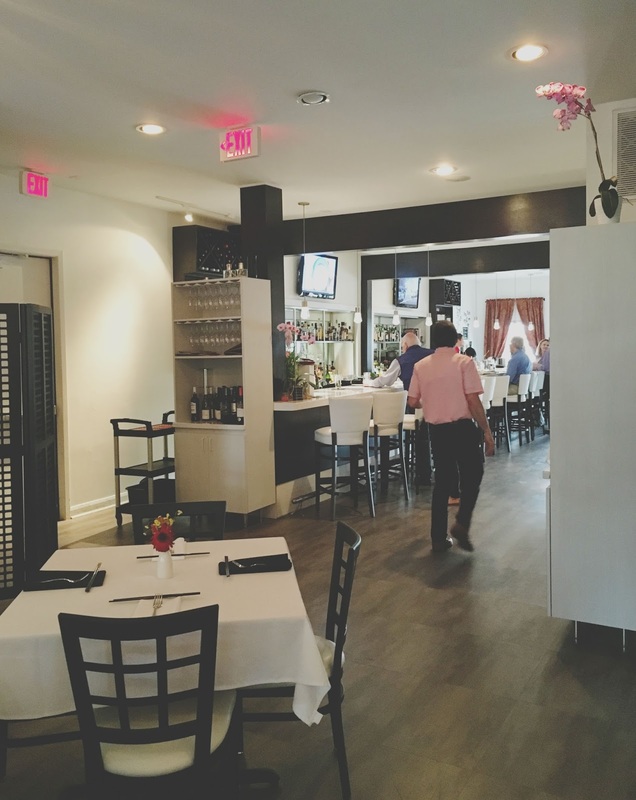 The white table-clothed restaurant whose quality food sits at a slightly higher price point than most other Houston area Chinese spots certainly fits that bill. But before I get into the food, another characteristic that really sets this restaurant apart from the others are their cocktails. When we first arrived, we sat at the bar and spoke at length with the incredibly knowledgeable bartender. I told him my taste preferences, and we decided I should order the dragon fire. Not only was this arguably the most beautiful cocktail I'd ever laid eyes on, it was also downright delicious! Made with Tanqueray Rangpur gin, ancho chili liqueur, Bad Dog fire and damnation bitters, fresh lemon juice, and freshly muddled dragon fruit, the drink was light, refreshing, subtly sweet and tart, and had a smooth kick to it. Danielle tried mine and liked it so much, she ordered one for herself! 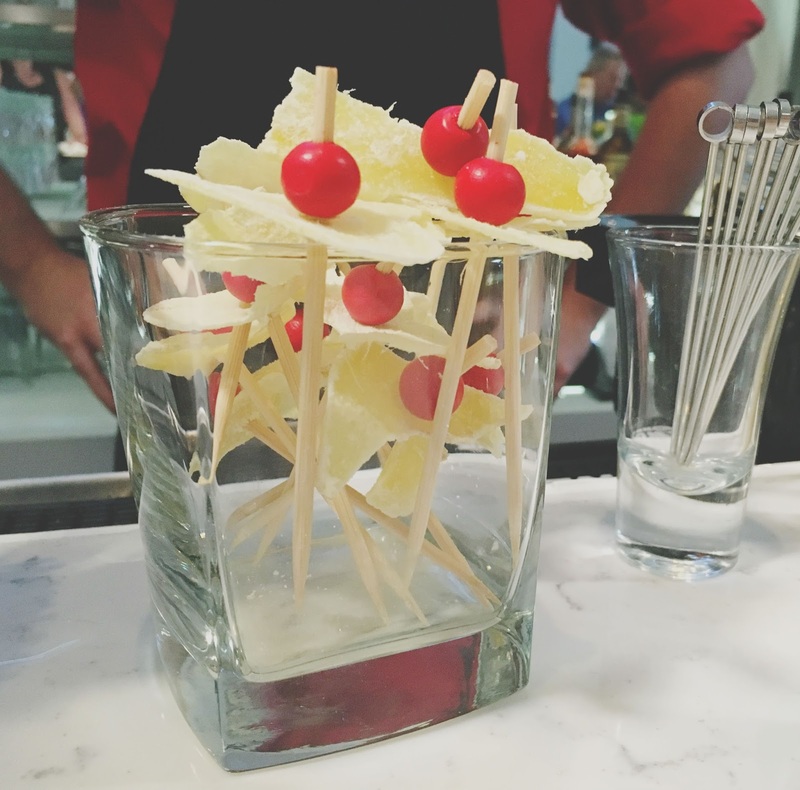 This was one wonderfully crafted cocktail. 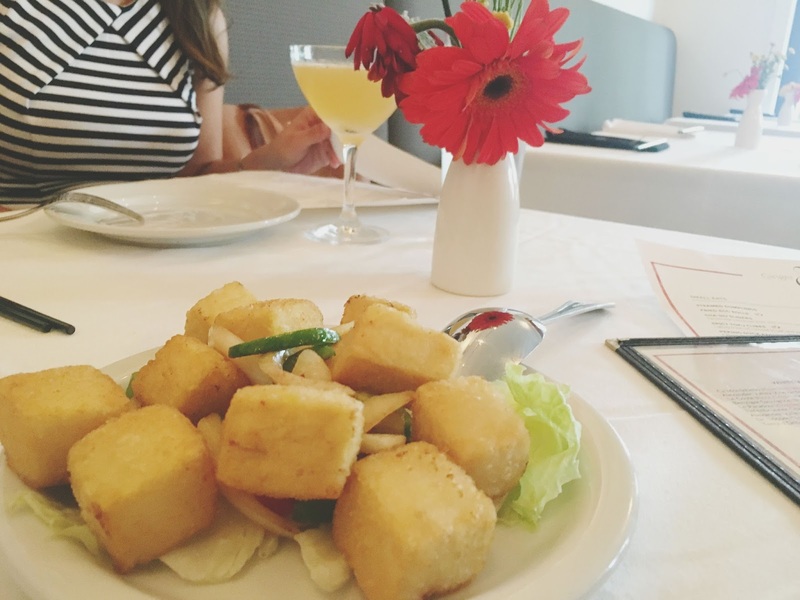 After we were seated, we decided to order an appetizer of spicy tofu cubes to split. The wonderfully crisped, lightly fried tofu cubes were simply tossed in salt and pepper, and served with sauteed onions and peppers - and they were lovely. The tofu was not soggy at all, and the fried goodness encasing the cubes was slightly sweet and perfectly peppery. It was a great way to start the meal! Before ordering our entrees, owner Mary Li stopped by and enthusiastically talked with us about her restaurant. She and the other employees all were incredibly nice, welcoming, and clearly oozing with passion about the unique and exciting new Houston restaurant. 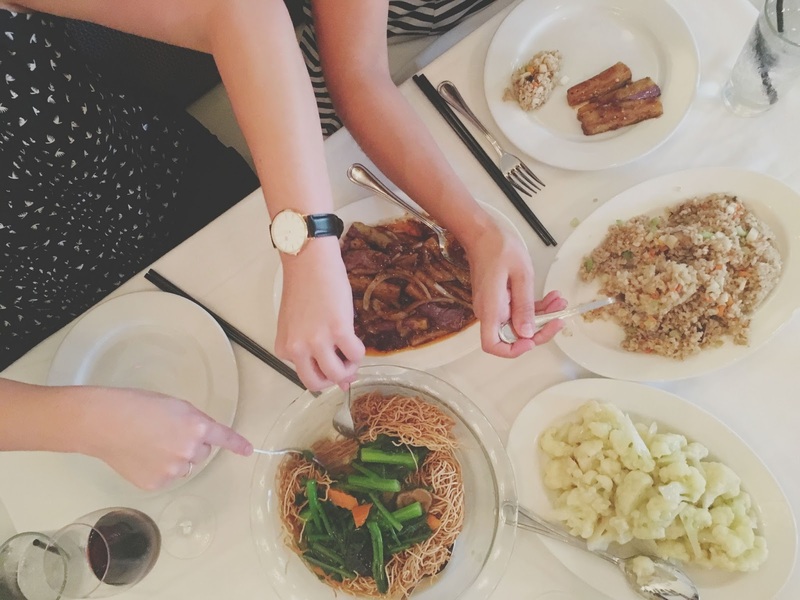 For our main course of food, we decided to split a bunch of different things: herbivore fried rice, garlic ginger cauliflower, fried crispy egg noodles with vegetables, and spicy eggplant. The herbivore fried rice was unlike any fried rice I'd ever had in that it had a distinct fresh ginger flavor to it. 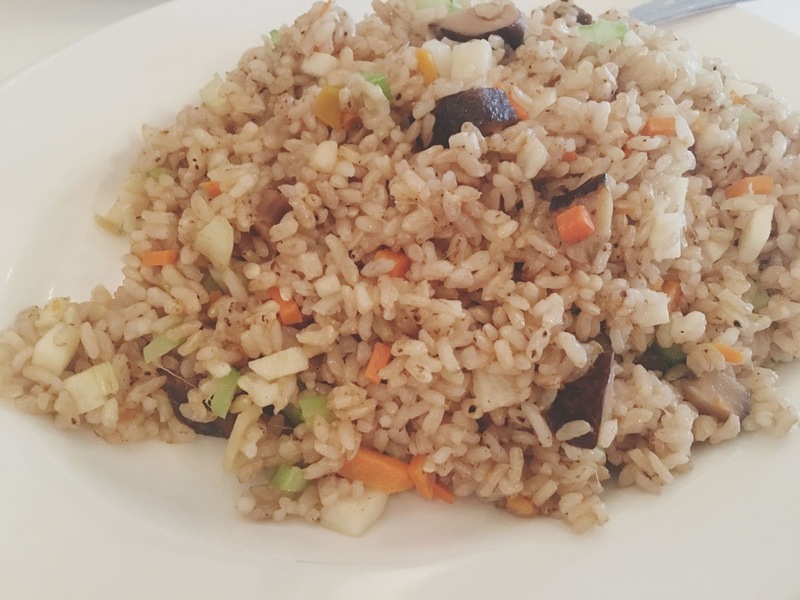 There was also nothing oily or greasy about this fried rice (which can easily be the case), and the vegetables were fresh and still maintained their texture. I wasn't overly blown away by it, but that's not to say I didn't enjoy it. 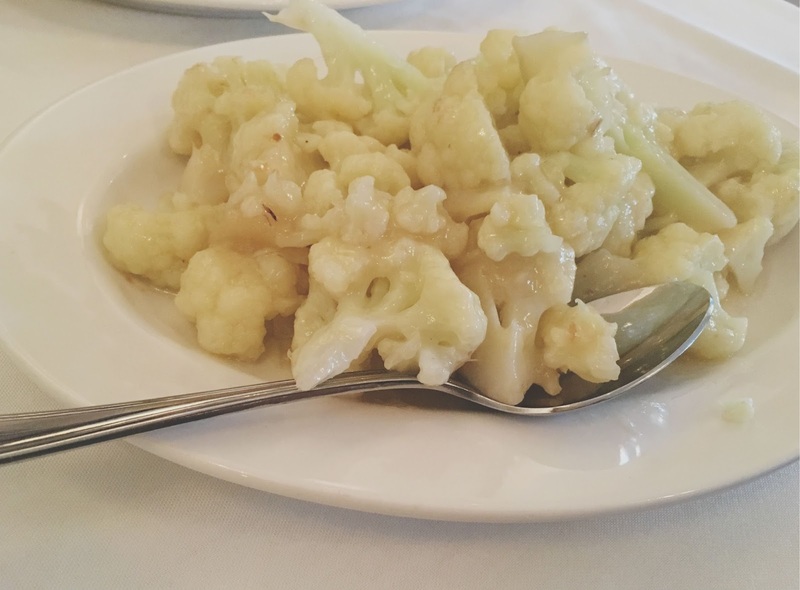 The tender garlic ginger cauliflower was swimming in a thicker sauce that reminded me of moo goo gai pan. It managed to be a unique component of the meal, while still reminding me of a dish I used to always order as a child, but had long forgotten. Again, I wasn't falling out of my chair over it, but it was an enjoyable, approachable, and comforting dish. The final two dishes we had were in hot competition of being our favorites of the evening. 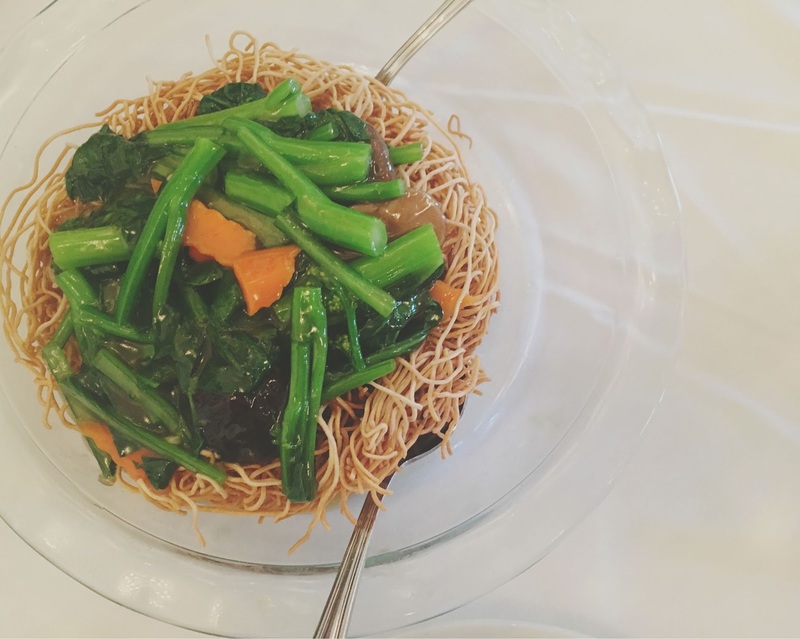 The fried crispy egg noodles with vegetables was absolutely OUTSTANDING. It was fascinating and exciting to explore the nest of playful noodles, which lived in a perfect realm between soft and super crispy textures. Combined with the silky, leafy vegetables in a savory, flavorful sauce, the result was truly special. But what I'm pretty sure ended up being my favorite food offering of the evening? 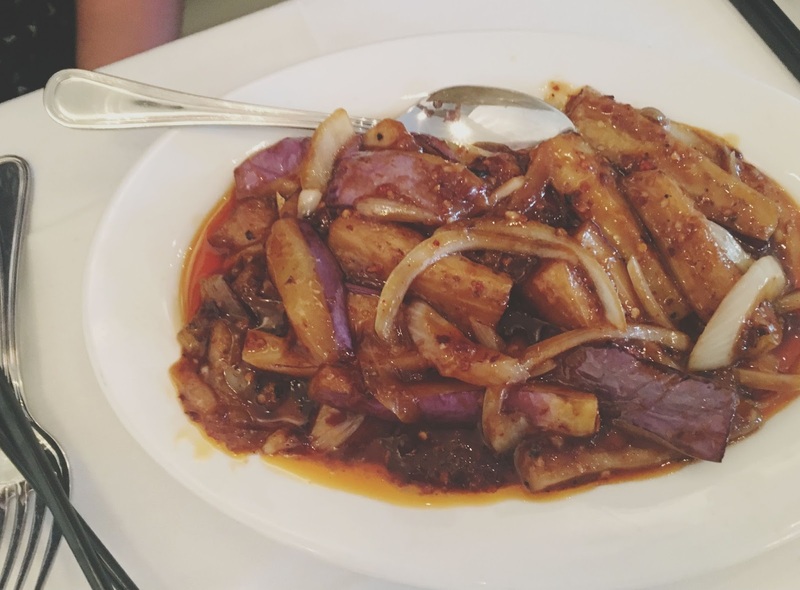 The tender eggplant was marinated in a sauce of chili and oils, and the complex, velvety result was absolutely luscious. Sweet, spicy, and utterly decadent, I'm pretty sure even the most devout of eggplant haters would convert to the church of Ginger & Fork after trying this dish! It was absolutely unreal. 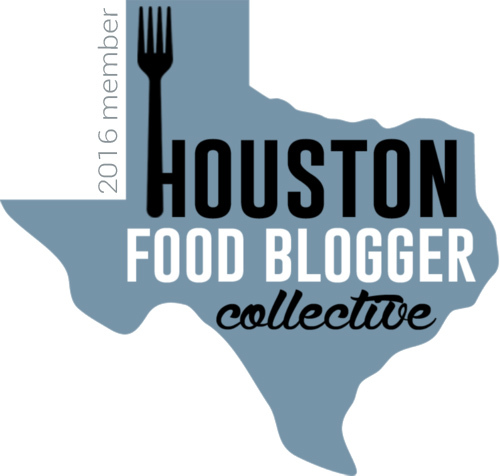 Ginger & Fork is a fantastic new addition to the Houston restaurant scene. In a city that seems so filled with unique and interesting food options, it is hard to imagine there being room for more original concepts. But one visit to Ginger & Fork blows that theory out of the water. 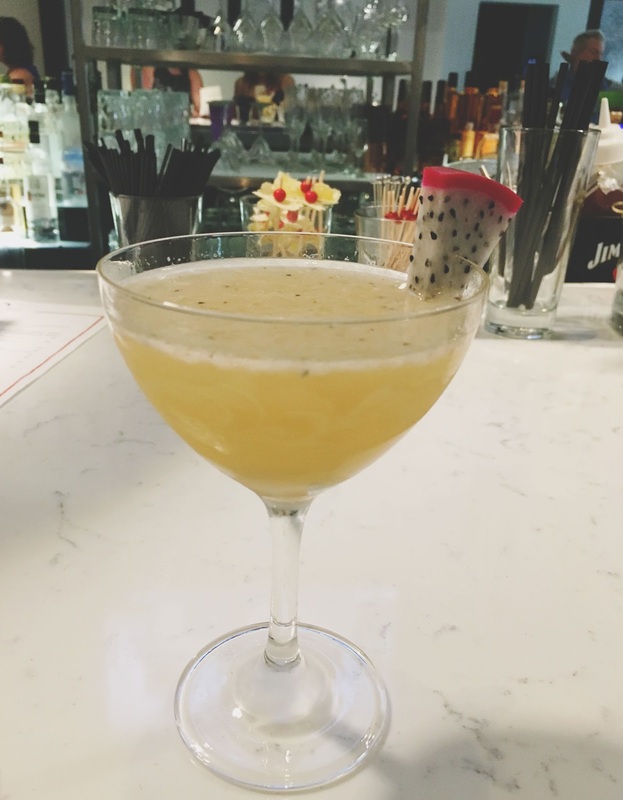 The methodically crafted cocktails, paired with fresh, delicious Cantonese-inspired food in an upscale setting really is a unique experience, and definitely worth trying! So...can I please jump through the screen and lick up that sauce? ?